A picturesque harbour, tasty seafood and beautiful surrounding countryside mean that if you choose camping in Salcombe you’ll get a taste of everything that South Devon is famous for. The local produce, the stunning scenery and the sea are reason enough to visit and the fantastic camping and glamping sites we’ve found are enough to make you want to stay forever. The only difficulty is in deciding which one to stay at. If you’re looking for a seaside staycation, how about camping or glamping in Salcombe? Once a thriving shipbuilding port, the harbour town of Salcombe is now one of the South Hams region’s biggest tourist destinations. It’s situated on an estuary within the South Devon Area of Outstanding Natural Beauty which means its stunning scenery is washed by calm turquoise waters. It’s little wonder then, that getting out on the water is one of the the best ways to explore. But with coastal walks on the doorstep and the wild expanses of Dartmoor just half an hour’s drive away, it’s also an awesome place for land-loving adventurers too. Whether it’s water or walking that’s tempting you to South Devon, if you love the great outdoors, Salcombe camping and glamping sites offer the best way to stay. 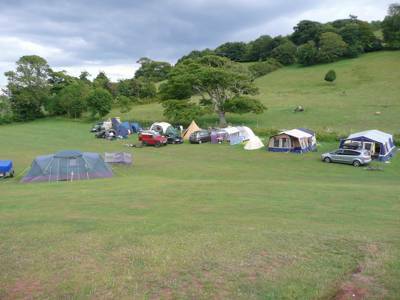 Devon has long been a popular destination for campers and there are plenty of classic campsites where you can pitch a tent in the rolling green hills of the county or within sight of the coast. 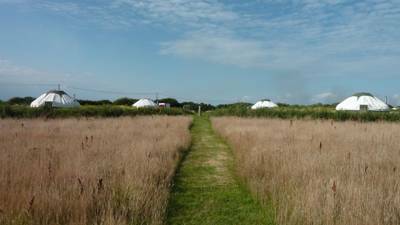 It’s also one of the best places to go glamping and if you fancy staying in a bell tent or a yurt that someone else has pitched for you or getting cosy in a shepherd’s hut, cabin or camping pod near Salcombe, there’s lots of great glamping to choose from too. 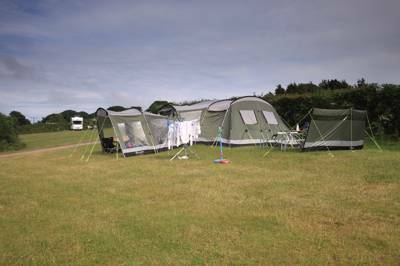 When you’re camping or glamping near Salcombe, you’ll find plenty of things to do. You can while away hours on the quayside in town, watching the boats come and go whist enjoying a locally-made ice cream or trying your hand at crabbing from the quay. Its high street mixes independent shops with bigger-name boutiques, art galleries and eateries where you can try the latest catch. Visit in April for the town’s annual Crabfest or August for its regatta and don’t miss your chance to take to the water, whether that’s kayaking, paddleboarding, sailing or taking a cruise of the estuary. If you want a day on the beach, head to North or South Sands, a couple of miles out of the town. Overbeck, the former home of scientists and inventor Otto Overbeck – now open to the public, is also on the outskirts of bustling Salcombe with a tea room, museum, beautiful subtropical gardens and unbeatable views of the surrounding area. The South West Coast Path offers excellent coastal walking if you need to stretch the legs and nearby Prawle Point, is a great place to head for, as it’s Devon’s southernmost point. Dartmoor National Park is a drive of around half an hour from Salcombe with almost endless ways to explore. For a fun-packed family day out, there’s always Woodlands Farm Theme Park which mixes a chance to meet farmyard animals with rides and activities for younger kids. For more ideas of things to do in this part of Devon, take a look at the Visit Devon website. Salcombe harbour beach town resort south hams devon coast seaside camping campsites campsite campervan camper tent caravan park holiday at Salcombe Camping, Once a thriving shipbuilding port, the harbour town of Salcombe is now one of the South Hams' biggest tourist destinations and a pleasure to visit on any camping holiday. 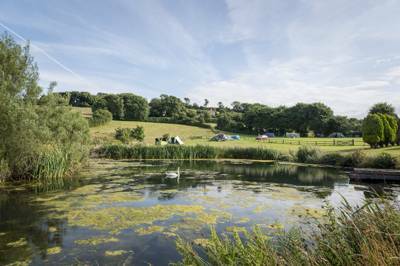 Only the best Salcombe campsites make the cut for Cool Camping, of course. Which will you choose?